To Barbara Castle, politician. From Keith Westley. I have long admired you as a pioneering campaigner for women’s rights and for Labour. 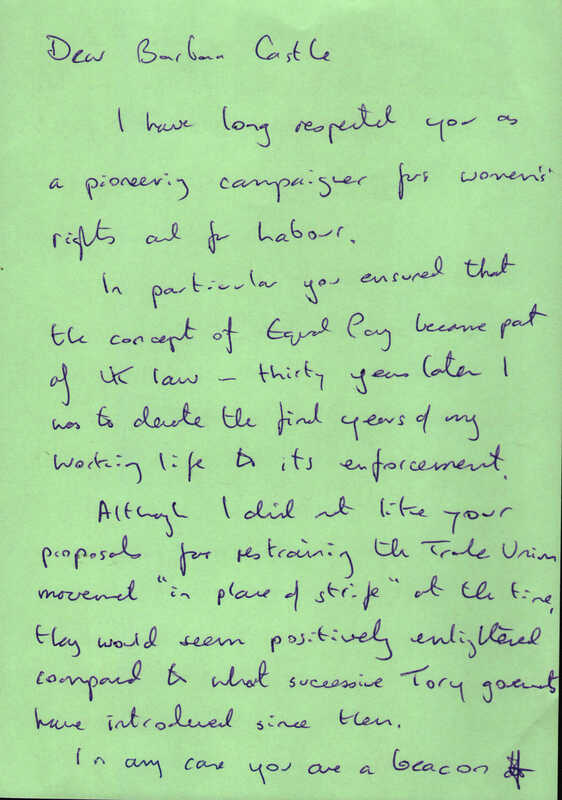 In particular you ensured that the concept of Equal Pay became part of UK law - thirty years later I was to devote the final years of my working life to its enforcement. Although I did not like your proposals for restraining the Trade Union movement “in place of strife” at the time, they would seem positively enlightened compared to what successive Tory governments have introduced since then. In any case you are a beacon of encouragement as a woman who survived and was effective in the murky world of late C20 politics. politician. Born 1910, died 2002. 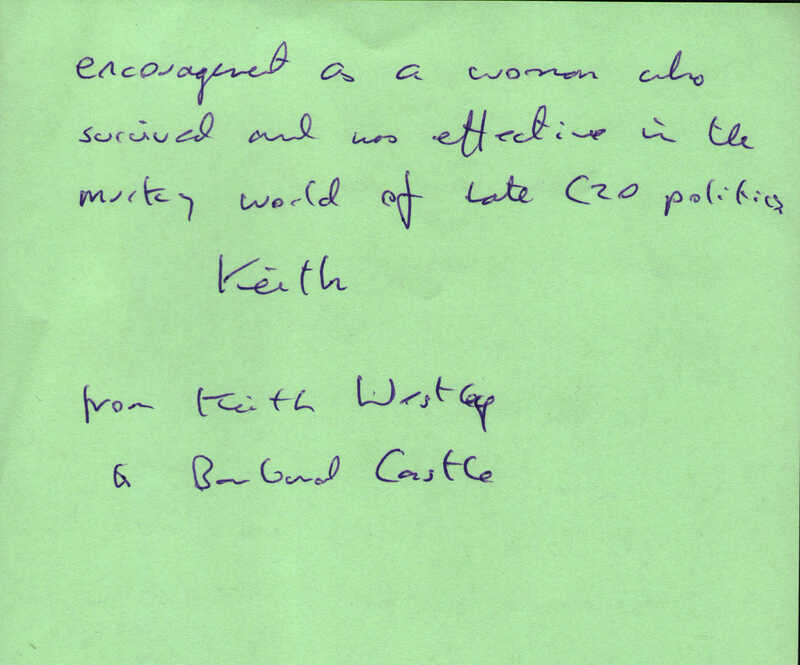 More information about Barbara Castle.